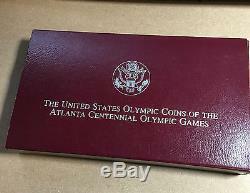 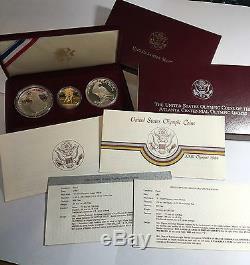 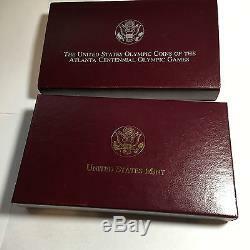 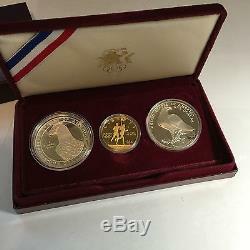 1984 PROOF LOS ANGELES OLYMPIC 3 COIN SET. 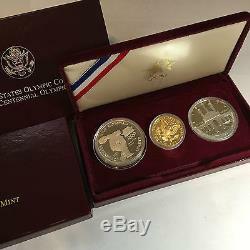 CASE & BOX ARE CLEAN WITH NO DAMAGE Held in a smoke-free environment Note - Capsule on Silver Discus thrower is faulty/mis-sized. 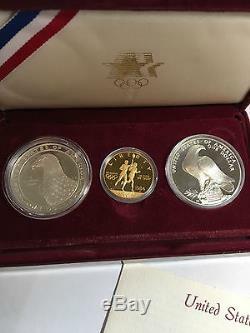 It is fine for presentation but when you pick it up it comes apart.